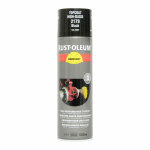 Aluminium metallic spray paint, for bare metal or as a finish over suitable primer. 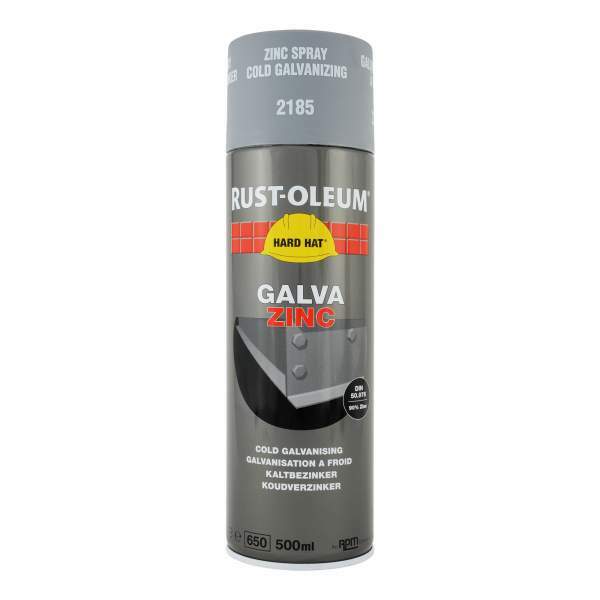 Rust-Oleum 2185 Hard Hat Galva Zinc Cold Galvanising is a fast drying, zinc rich primer based on an epoxy ester resin. The product contains pure zinc as pigment and provides cathodic protection. 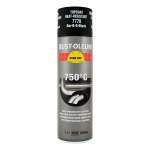 It is recommended for use on new, bare steel or galvanised steel surfaces on small areas or for touch-up. Suitable for use as a primer or as a single coat in light industrial exposures, corrosive environments and high humidity areas. It is touch dry in 10 minutes, can be handled in 30 minutes and is recoatable within 1 hour or after 48 hours. 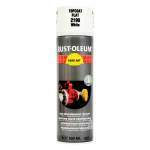 Rust-Oleum Industrial 2185 Hard Hat Galva Zinc Cold Galvanising Grey is available in 1 colours from the Rust-Oleum Industrial Colour Cards.